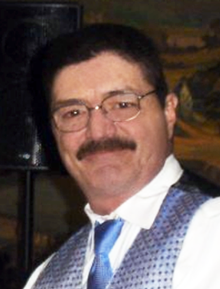 Donovan, Kevin J., of Winthrop, passed away on Sunday, January 20, 2019. Loving son of Helen (Butori) Ferriman. Devoted companion of the late Lori Caldarelli (Farro). Cherished father of Susan Sullivan and Kevin of Holbrook, James Farro of Derry, NH, Anthony Farro of Winthrop, Laurena Farro and Oscar Pimental of Chelsea, and Shannon Donovan and Shawn Kelley of East Boston. Loving brother of Gil Brewer, Timothy Donovan, Terrence "Cookie" Donovan, Carolyn Richard, Kelly DeBonis, William Ferriman, and the late Virginia Viscay and Albert Donovan Jr.
Adored grandfather of Jessica, Alexa, Isabella, Joshua, Madison, and Andrew. Family and friends will honor Kevin's life by gathering in the Ruggiero Family Memorial Home, 971 Saratoga Street, East Boston, on Thursday, January 24th from 4:00 P.M. to 8:00 P.M. and again on Friday morning at 10:00 A.M. for a funeral service in the Serenity Chapel of the funeral home before heading in procession to Woodlawn Cemetery Chapel, Everett. for committal prayers.